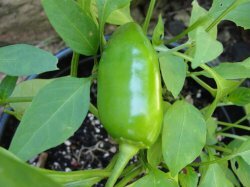 This pepper has all of the classic jalapeno flavor, without any heat at all. You can really increase the flavor of chilis and sauces with these without cranking up the heat. Note there is a chance that some peppers will have some hear, especially when they ripen to red, but for the most part these are very mild.